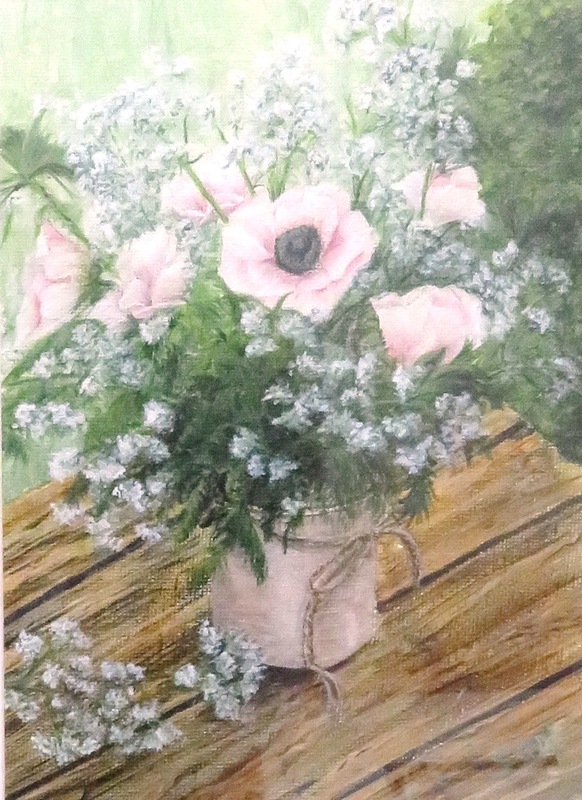 A lovely picture of a pot of Sweet Anemones and mixed foliage standing on a rustic wooden table in a garden surrounding. A fresh painting which reminds us of summer days. Painted in acrylic on a canvas board. 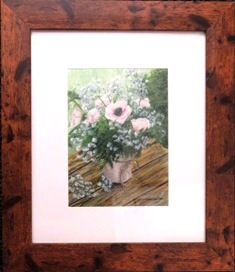 Framed in a wooden effect frame with a cream mount. The overall size of the picture when framed is 15" x 12.5" and it comes with a Certificate of Authentication on the reverse. The artwork is signed by the artist on the bottom right of the painting.